For the other Lenny in GTA IV see Lenny Petrovic. 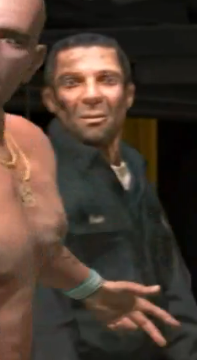 Lenny is, in 2008, a resident of Liberty City and a mechanic at Brucie's Executive Auto Garage. This page was last modified on 26 October 2013, at 16:06.